I added this little painting to my eBay auctions last night. I've had two of these large bees flying all over my deck trying to get in the house and they gave me this cupcake idea. 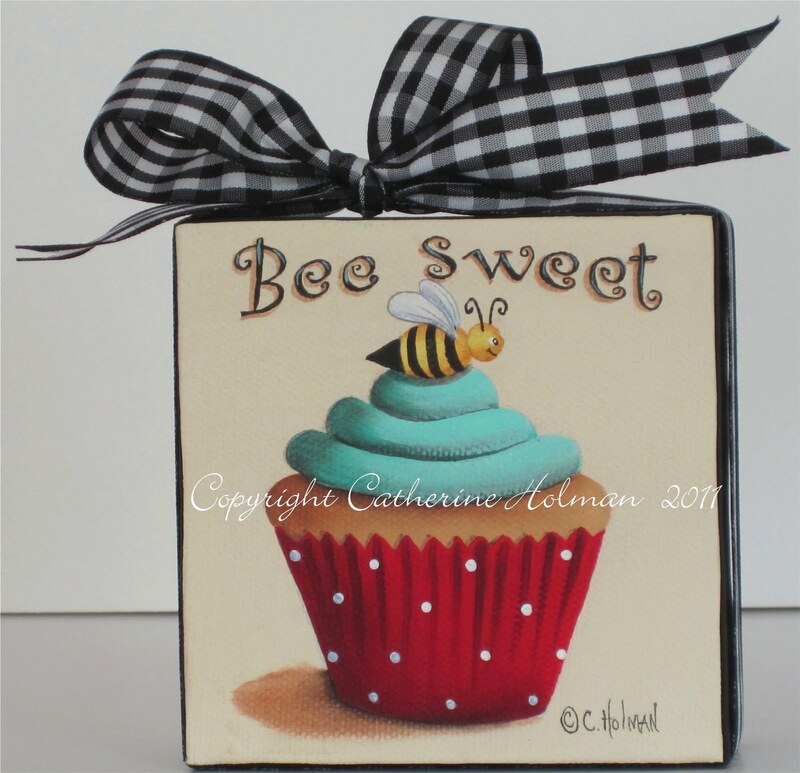 This cute little bee knows what's sweet and delicious when he sees it. Landing atop this lovely cupcake piped with aqua frosting, the "sweet" scent has brought a smile to his little face. 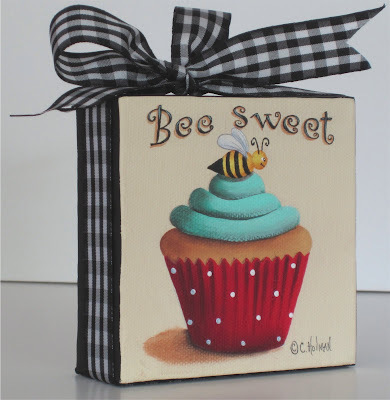 Black and white checked ribbon is wrapped around the edges of the canvas and tied in a perky bow on top. I came across this photo and wasn't sure if I had shared this with my readers. I did this mural in a local home a few years ago. 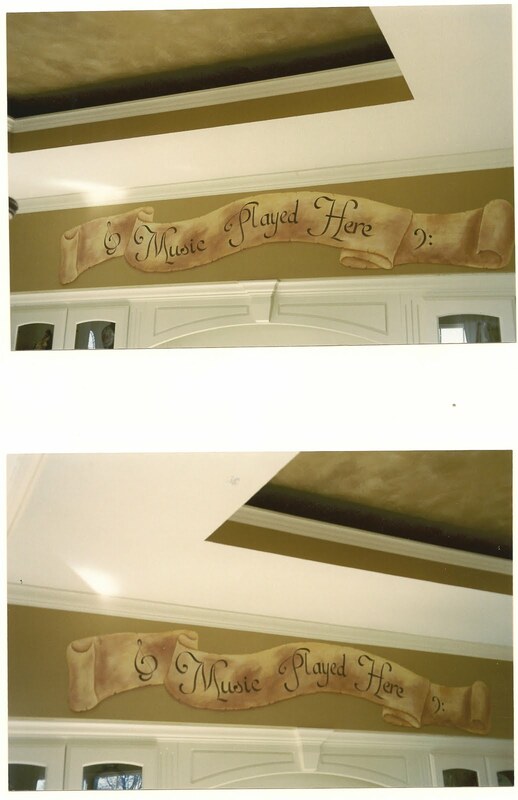 The homeowner wanted me to paint this banner in her music room. It was fun to paint, but I'm not as good on ladders as I used to be! Needless to say I don't do this anymore. 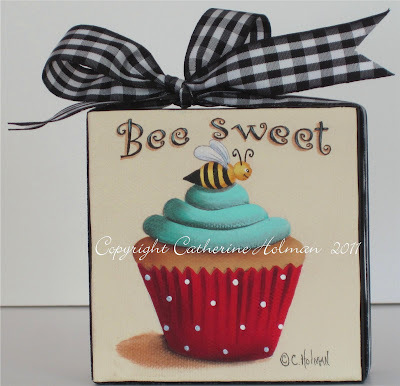 That is the sweetest cupcake Catherine, lovely work.